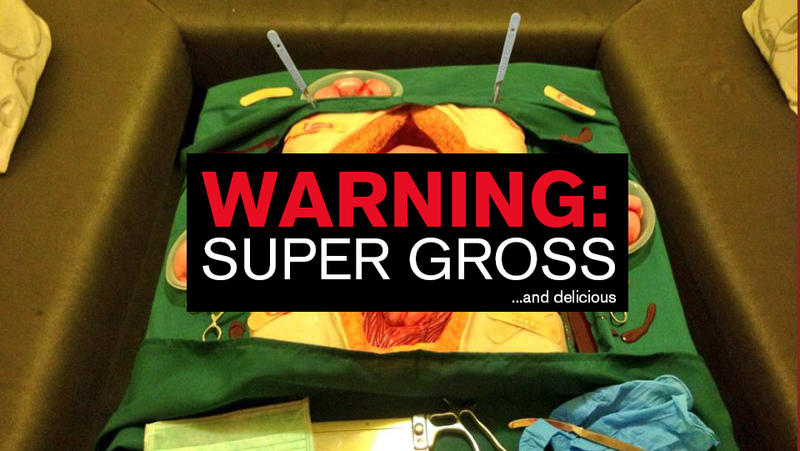 In celebration of Surgeon Simulator 2013 and the indie sensation that it has become: the most disgusting cake you have ever wanted to eat. Mmmm disgustlicious. Uncensored image follows.